When I first thought about writing this review I decided against it, as time has passed I have come to a realization… I don’t care what kind of eatery a place is, or where it is located, if it is food I like I am going to write about it. 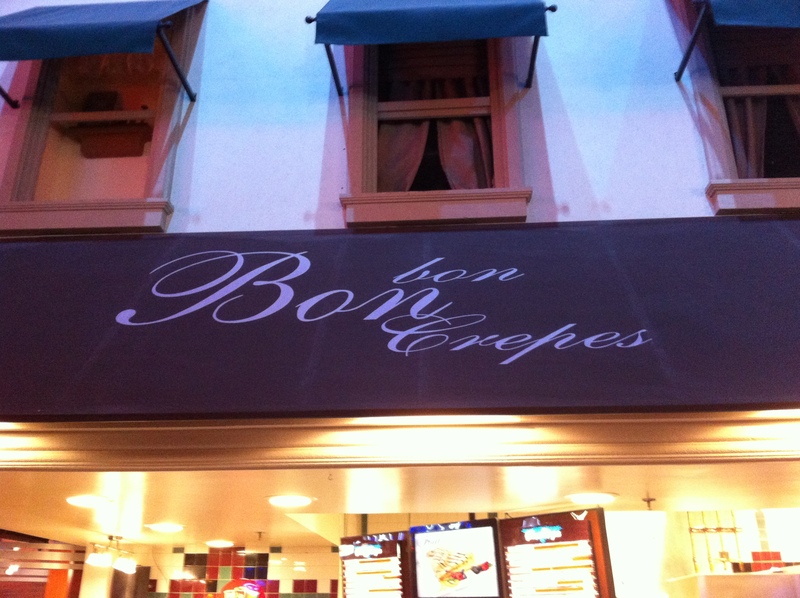 Bon Bon Crepes is located in the Jordan Commons Megaplex and serves up some great crepes. Are these as good as dad used to make them? Nope, but I never expected them to be. When I find a place with crepes on the menu I make sure I go out of my way to try them, but this is no out of the way hole in the wall, it is right there as I am about to walk in and see a movie, something I don’t do nearly as much as I would like to. The menu at Bon Bon is small, they specialize in one thing and they are perfectly aware of that. 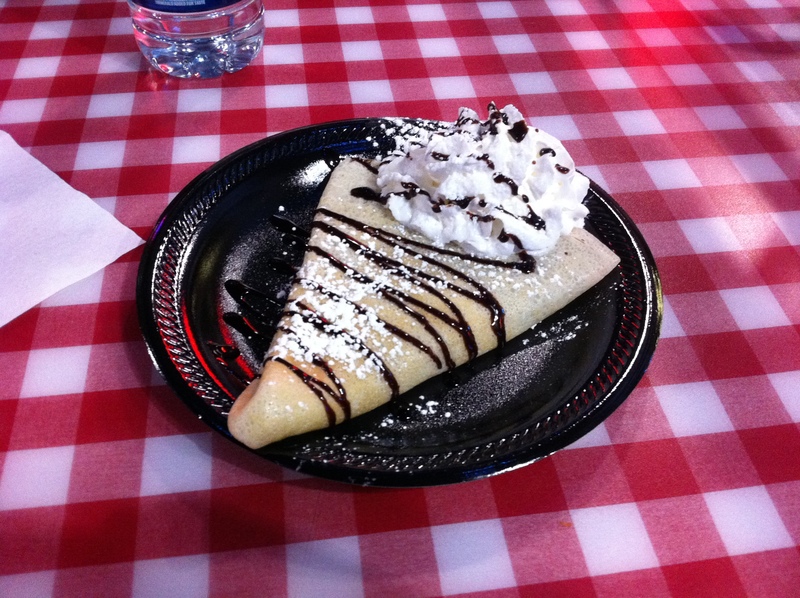 You can order sweet or savory crepes and you can choose from a handful of fillings and toppings. My usual order is a sweet crepe filled with Nutella and topped with powdered sugar and whipped cream, I now order it almost every time I go to a movie. I have tried some of their other options in the past, such as the Mediterranean and the Vegetarian, both of which I enjoyed but their is something about a Nutella filled crepe that just feels right. The only thing missing from my favorite way to dress up a crepe is vanilla ice cream, but even if they had it I would pass because attempting to eat that in a dark movie theater would be a terrible idea. Now that I am looking at things, they actually are connected to Bon Bon Gelato and Ice Cream, it might get pricey but that could really open things up to some experimentation. The price of the items on the menu is a little high, 7.50 for some of them, but what do you expect in a movie theater.